These classes are available for an extra fee. ​Notan is a Japanese word that is most often translated as dark-light, representing the balance between positive and negative spaces. In reality the concept is more complex and focuses on the interaction between these spaces. This Class uses the concept of Notan to explore two elements of art, Shape and Space, and two principals of art, Balance and Contrast. This series of exercises is designed to help you experience and understand the principal of Notan and how it can be applied to Zentangle. Two fun tutorials with the always amazing Marie Browning. ​First hands on with Shading with Markers! eliminate the graphite smudge by learning how to shade with the Tombow greyscale markers. Marie will share with you all of the insider secrets for sensational shading! WHAT? Dishwasher Proof Tiles!!! 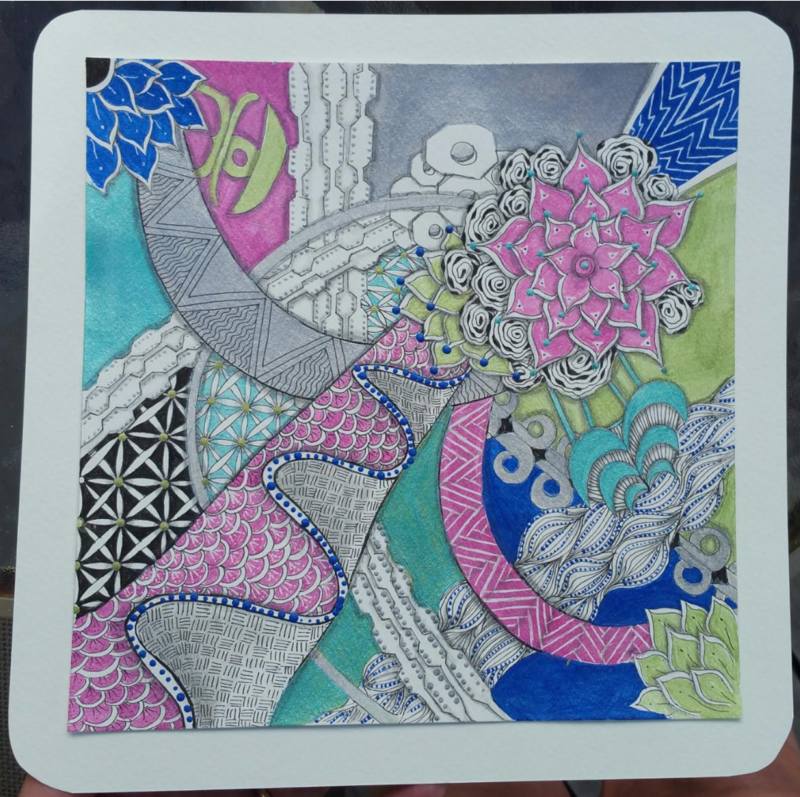 Marie will demonstrate how to use resin to coat zentangle pieces for practical use as placemats, coasters and hotplates! You'll go home with the instructions so you can share this method with your students! A Tangled, Painted, Portland ZIA! A Tangled, Painted Portland ZIA! A glimpse of some of the highlights of the largest city in Oregon, taught by Julie and Art Allison. This six-hour class takes you on a mini tour of Portland whilst guiding you to develop your own lesson plans based on your particular target audience/location. Learn how to develop a lesson plan to teach to special interest groups. Don't be Afraid of the Water! Jumping into the deep water with watercolors is not really so scary. You don’t need a life preserver and even many materials. And besides, the instructor used to be a lifeguard. 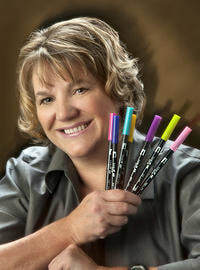 Tess will introduce you to a very different version of watercolor paints called Peerless Transparent Watercolors. These are intense watercolor paints infused into paper. The student will construct their own travel palette with built in mixing plate. This palette is slim, easily transportable and only needs the addition of a waterbrush and paper to create awesome watercolor effects at home or on the road. The class will practice watercolor techniques that are extremely useful for painting tangles. Tess will lead a discussion about what to look for in tangles that lend themselves well to watercolor and the class will then tangle and color their work. By the end of the class, students will be swimming confidently with watercolors. No fear of the water!! Or only just a little. 12” Ruler, the see-thru quilting rulers work awesome.